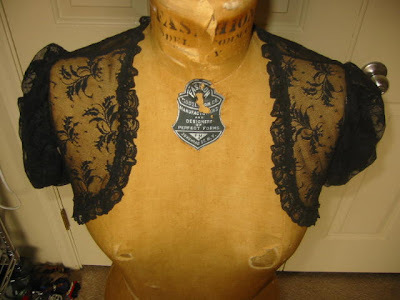 This black lace shrug comes from a frumpy neglige (last pic). 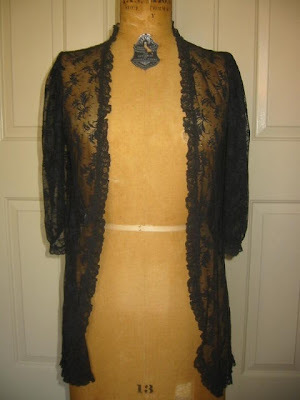 I threw it up on the dress form and started cutting the lace trim and then pinned it back into place at a shrug length. 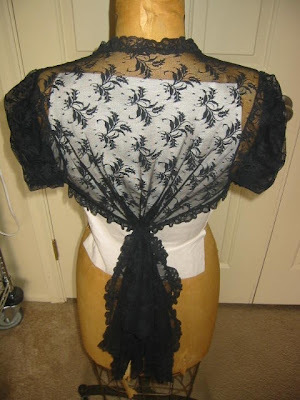 Then took the extra cut-away lace that was hanging down and tucked it into the bustle of fabric created in back. I finished by putting a few more gathers in back to draw the bustle into one big train. 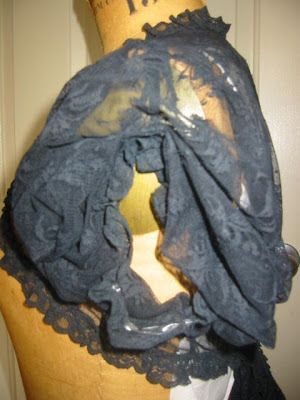 The sleeves just had to be taken up so I folded and folded and gathered and tucked and voila!